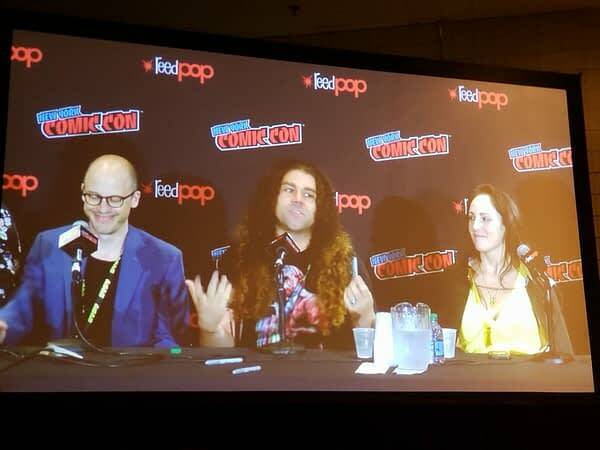 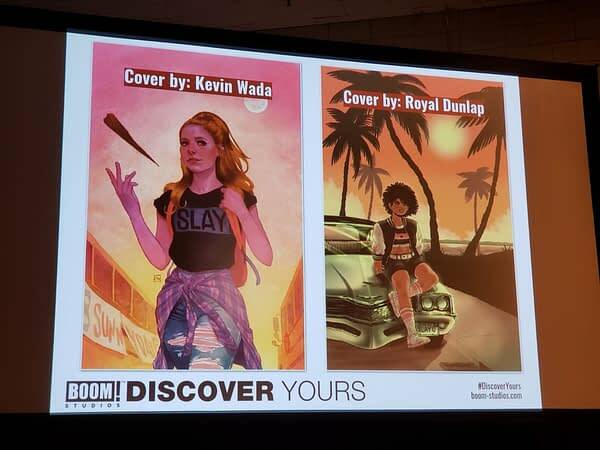 From the Boom Studios panel at New York Comic Con… with Delilah Estos, Greg Pak, Claudio Sanchez, Lev Grossman, Lilah Sturges, RL Stine in attendance… which will be the new Buffy The Vampire Slayer creative team. 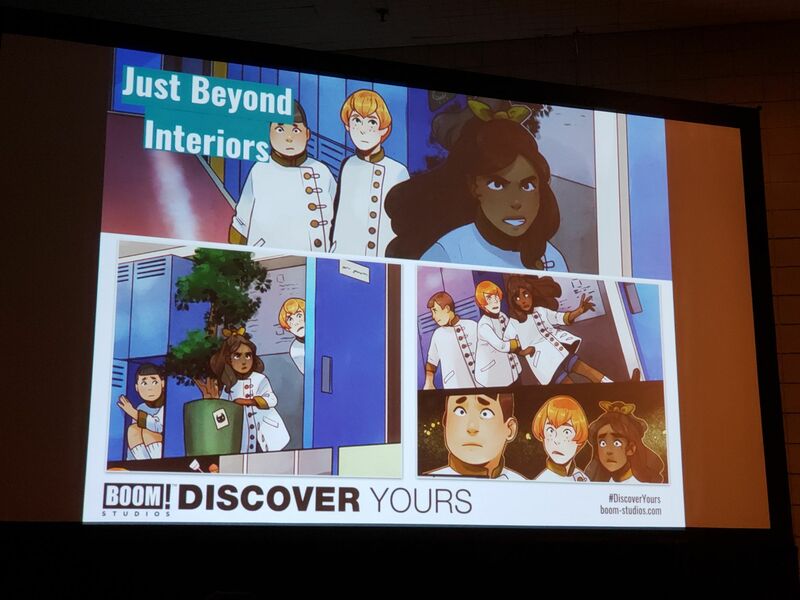 A license snatched from Dark Horse courtesy of Boom Studios’ overlords Fox Studios? 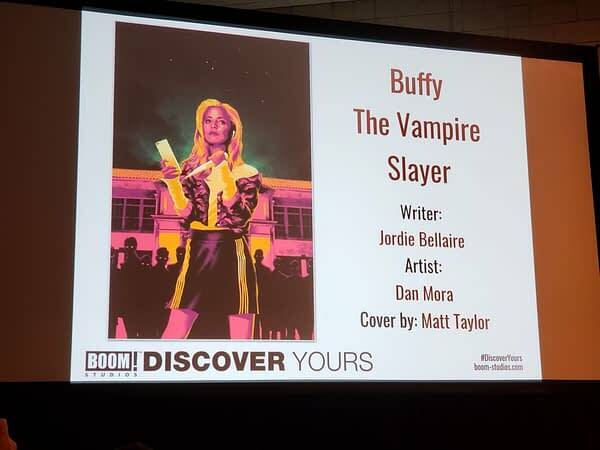 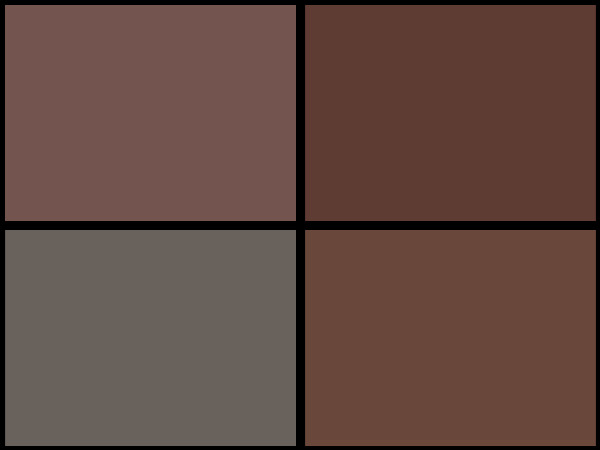 The Buffy that you all know and love but world will likely look more like ours and there’s a reason for that – can’t reveal more. 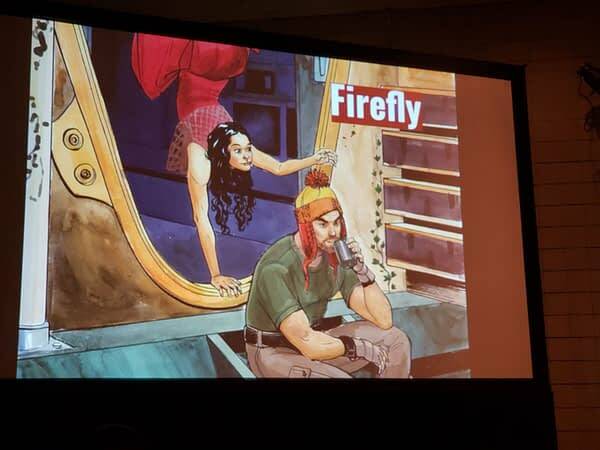 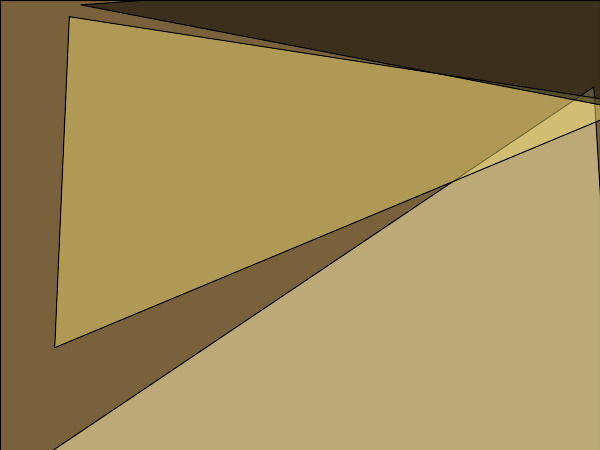 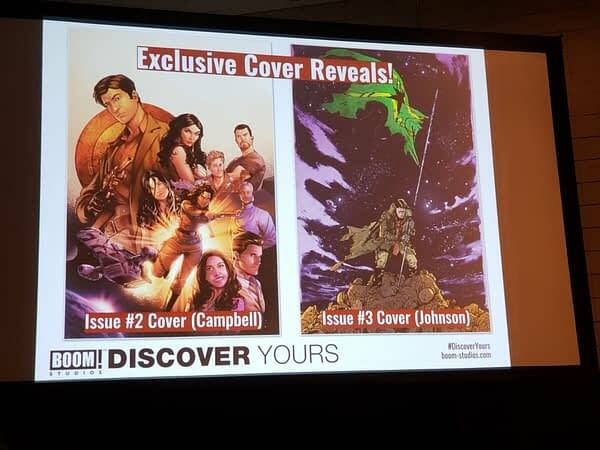 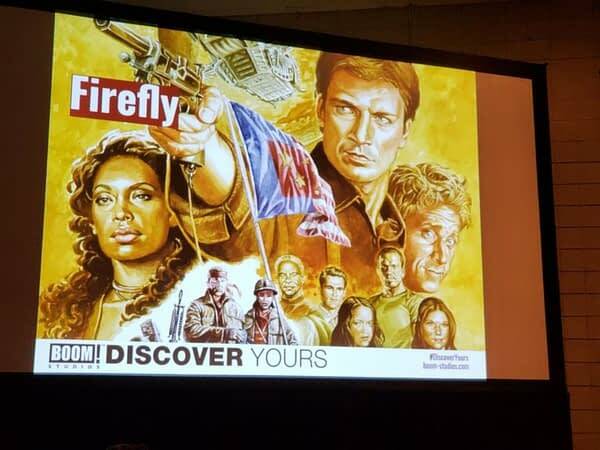 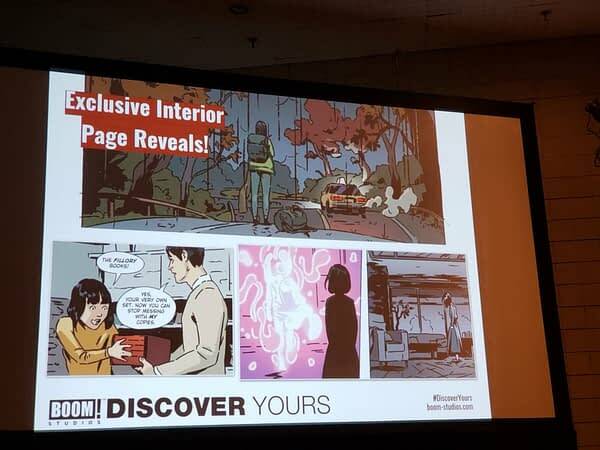 We also got a look inside other projects, the new Firefly comic, the new Just Beyond graphic novel series by Goosebumps’ RL Stine, and began with new interior art for the Lumberjanes comic book by Lilah Sturges. 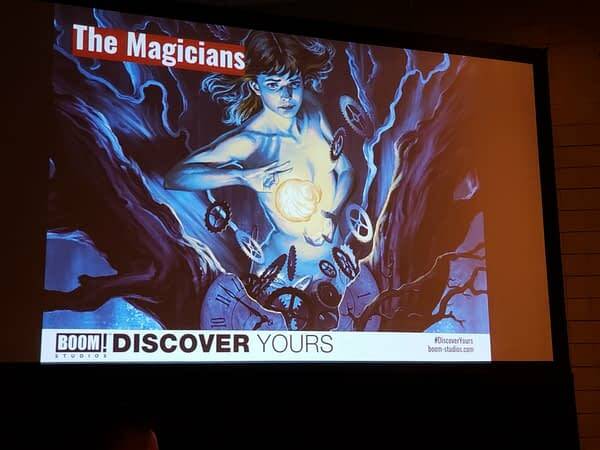 Sturges is also writing The Magicians based on Lev Grossman‘s books and TV series. 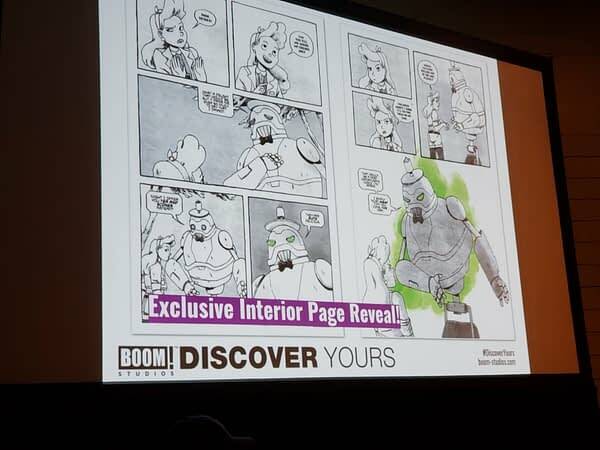 With an exclusive page by the artist Pius Bak for the show… and everyone there got free previews of Magicians. 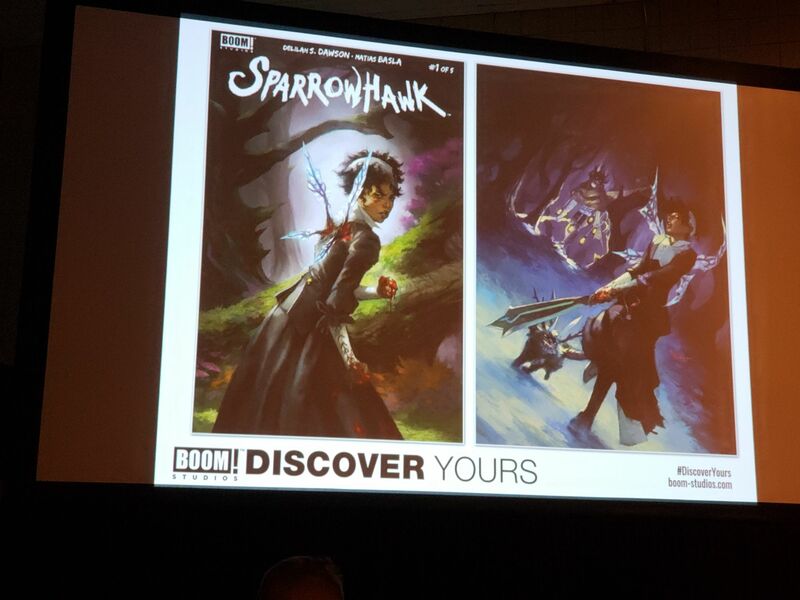 Planned for 2019 publication. 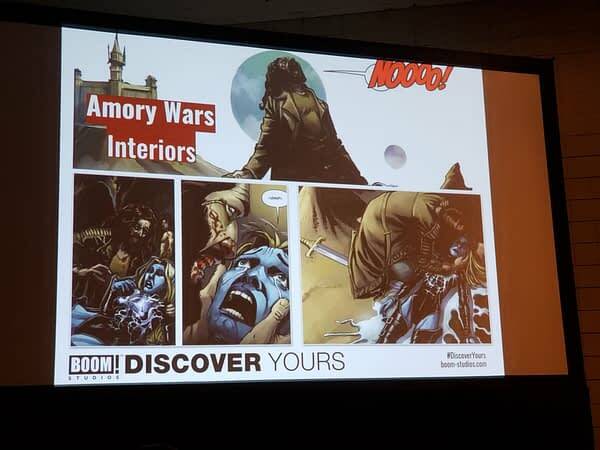 Coheed and Cambria frontman Claudio Sanchez is working on Amory Wars. 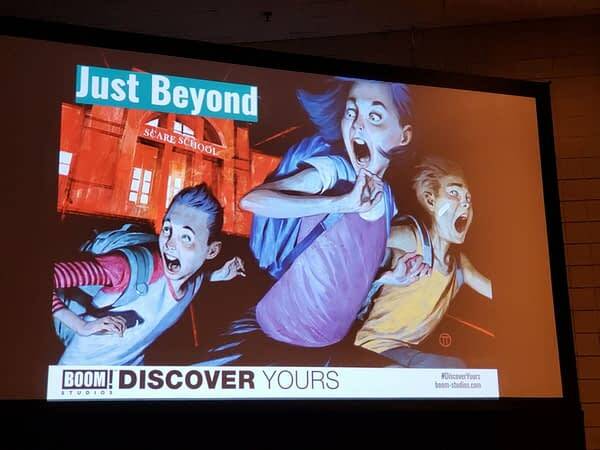 Just Beyond GN series with RL Stine. 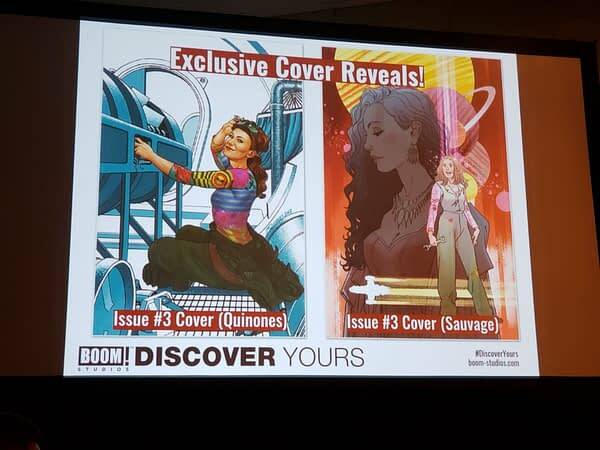 Covers by Julian Tedesco, interiors by the Matthew sisters. He has also just signed on to write 6 more Goosebumps books. 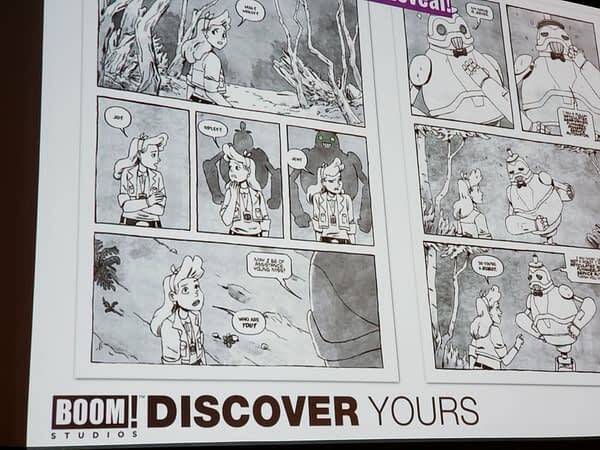 Stine always loved comic books, they are “very big influence on me ” especially EC’s horror books. 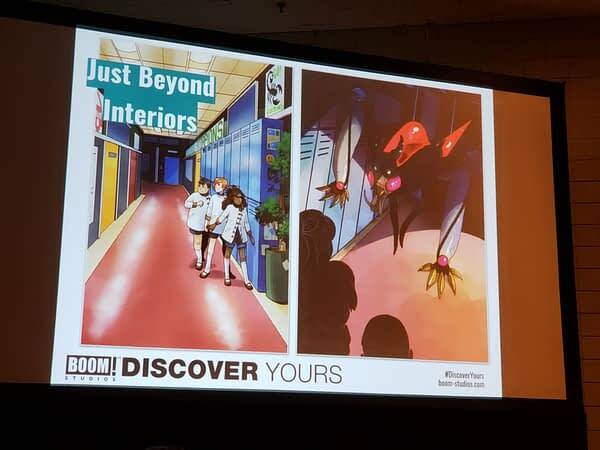 Haunted Mask is Stine’s favourite Goosebumps book as it’s the only book based on real life, when his son couldn’t get his Halloween mask off – ‘I should have helped him right?’ But he took the inspiration for the book from it. 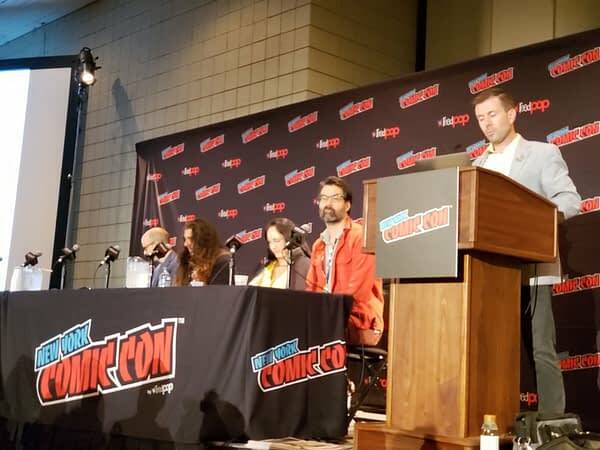 Thanks to Hugh Sheridan and John Odum at New York Comic Con for Bleeding Cool.